Hide deals from seller "GreenAirCare"
Hide deals from category "Heating, Ventilation & Air Conditioning"
Limit 1 per person; may purchase up to 5 additional as gifts. Valid on dryer vent cleaning, HVAC air quality check and camera inspection. Valid Monday-Friday. By appointment only; must mention voucher when scheduling. Promotional value expires 60 days after purchase. 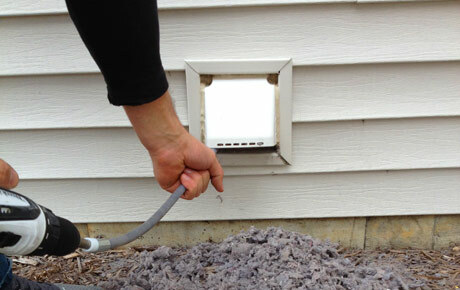 Clear the air with this deal for 60% off dryer vent cleaning from GreenAirCare, available within 25 miles of Buffalo Grove ($99 value). This new, family-owned business offers eco-friendly duct and vent cleaning while providing topnotch customer service. The GreenAirCare technicians are certified, well-trained professionals who use their knowledge and expertise to provide proprietary cleaning techniques. With this deal, a technician will clean the main electrical wires that lead to the dryer as well as all exhaust ducts and dryer vents. They use a high-power vacuum to capture all buildup and debris, and they inspect the vents with a small, high-tech camera. Plus, the airflow and dryer will be tested to ensure all lint has been removed and that the heating element is working properly. An HVAC cleaning and maintenance company in Buffalo Grove.